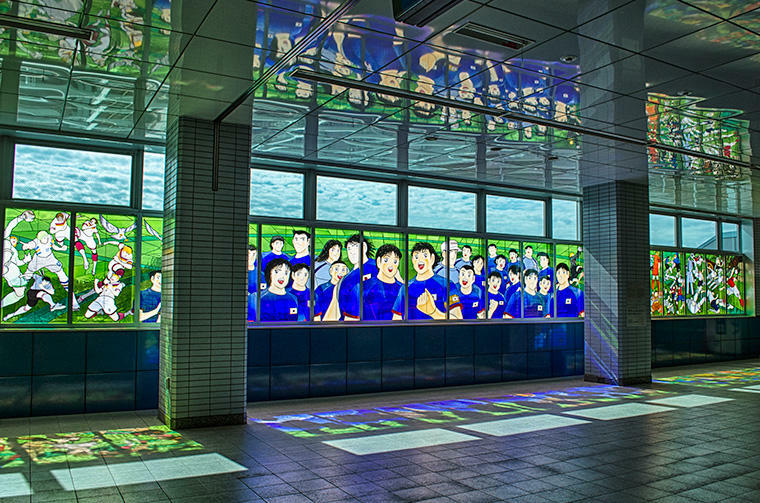 On March 11, 2018, Saitama Railway Corporation, with collaboration with The Japan Traffic Culture Association, and with assistance from the Japan Lottery Association, have held an unveiling ceremony of the public art installed in Saitama Railway's Urawa-Misono station. 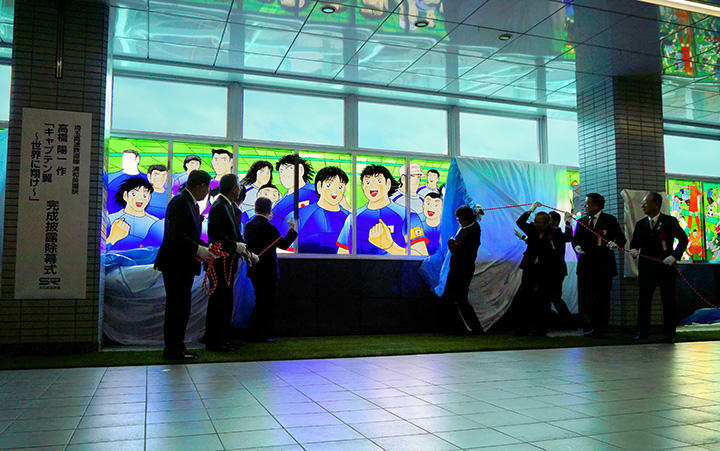 The public art is a massive stained glass window based on the world famous manga, "Captain Tsubasa". 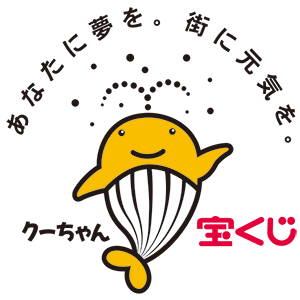 This public art has been installed with assistance the Japan Lottery Association. Captain Tsubasa, is one of the most popular long-running Japanese manga, animation series, originally created by the world famous manga artist, Yoichi Takahashi in 1981. This massive stained glass has been master-painted and supervised by Yoichi Takahashi himeself, and been produced by the professionals at CREARE Atami-Yugawara Studio. Motif of the art is Tsubasa Ozora and other characters appear in Captain Tsubasa series, which continues to have a big influence worldwide. This art is entitled "Captain Tsubasa : Sekai ni Habatake" (Captain Tsubasa : Spread Your Wings Around the World). This artwork spans 19.75 meters in width (about 65 feet) and 1.59 meters in height (5.2 feet), and depicts a total of 99 characters from the famous series. 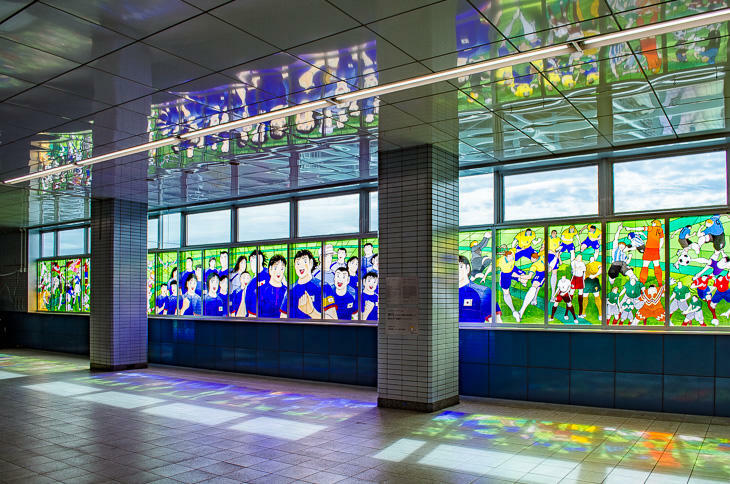 The public art is installed to give a big impression of the station not only to railway users, but to football fans from Japan and all over the world. 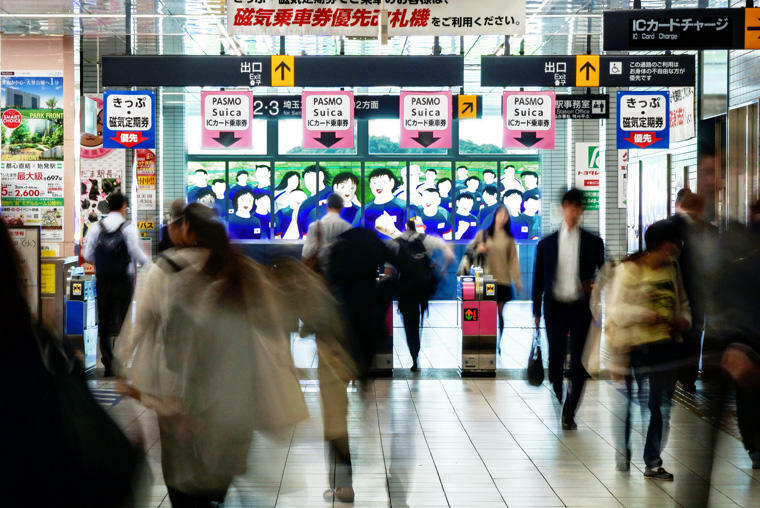 Also, this public art is set for worldwide dissemination of the culture and attraction of station, railway, region, Saitama and Japan, contributing the creation of bustle in the area around the station. 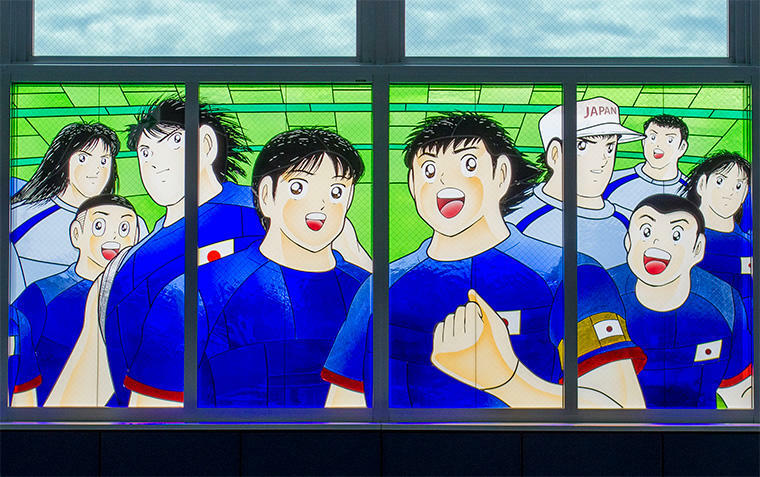 Captain Tsubasa Stained Glass is located on concorse floor of Urawa-misono Station. 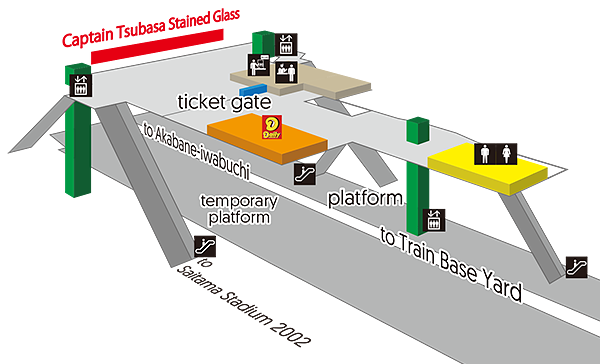 This artwork appears in front of railway users getting out the ticket gates.